The theme for this Box of Blessings, Sharing comes from 1 Thessalonians 2:8 - "We loved you so much that we were delighted to share with you not only the gospel of God but our lives as well, because you had become so dear to us." This Box is a HUGE blessing worth over $100. 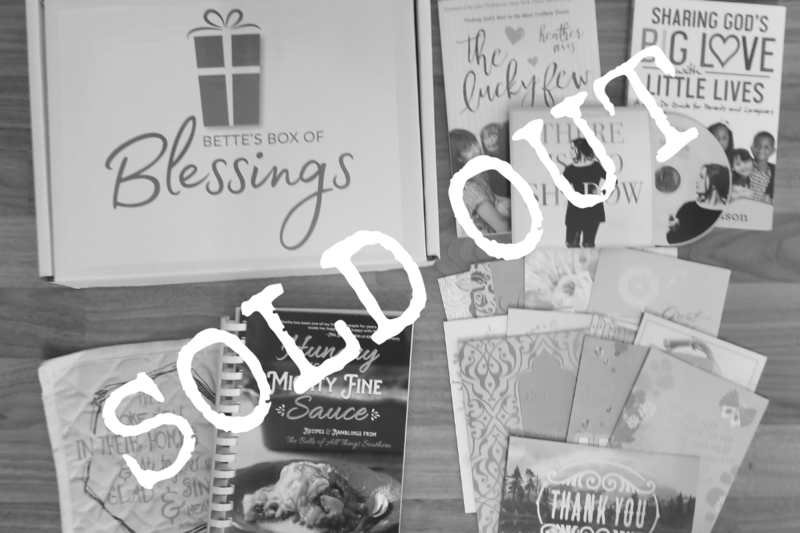 Includes: Sharing God's Love With Little Lives by Jean Thomason, The Lucky Few by Heather Avis, the cookbook - Hungry is a Mighty Fine Sauce, the worship CD - There is No Shadow, a potholder and a pack of premium greeting cards from FairHope Notes.